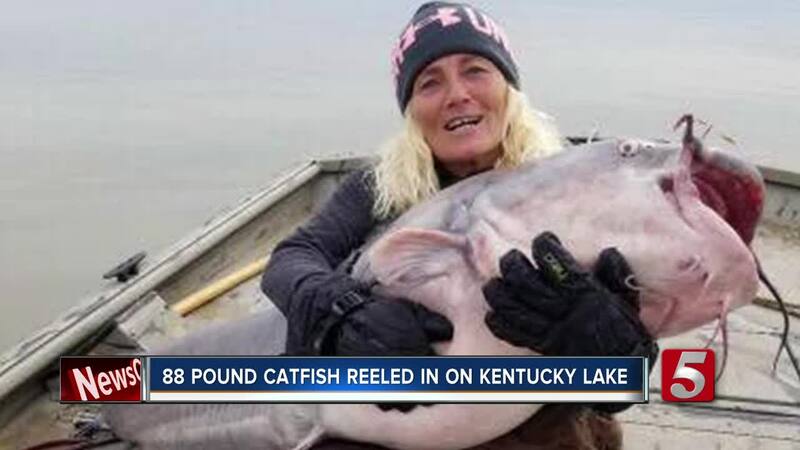 NASHVILLE, Tenn. (WTVF) — A woman is getting a lot of attention online after catching a whopping 88-pound catfish on Kentucky Lake. The Tennessee Wildlife Resources Agency shared a photo Monday, showing Paula Cathey Smith with her “personal best” catch. Paula Smith and her husband, Ken Smith, went out on Mason boat's dock Sunday, in need of an adventure. 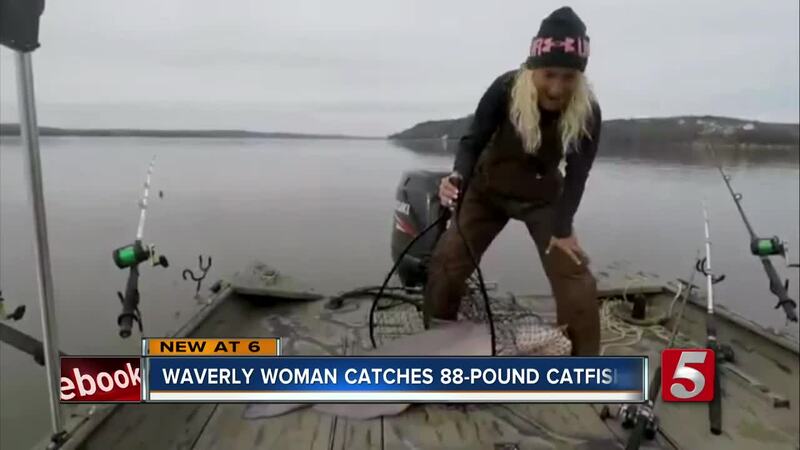 30 minutes later, Paula encountered the 88-pound catfish! "I cannot believe I got a 88 pound fish," said Paula Smith, "when I first seen it I said 'Oh my God!" After the monster fish was caught, Paula released it back into the wild. Since it was posted, the photo has been shared more than 1,000 times on Facebook.